This is the age of transparency. If a brand wants to be relevant for its target, the target must be able to see through it. Mystery is charming no more, especially in the food industry whose mystifications have been deeply investigated in the last years. Even pasta, Italy’s number one comfort food, has been recently put under the spotlight. 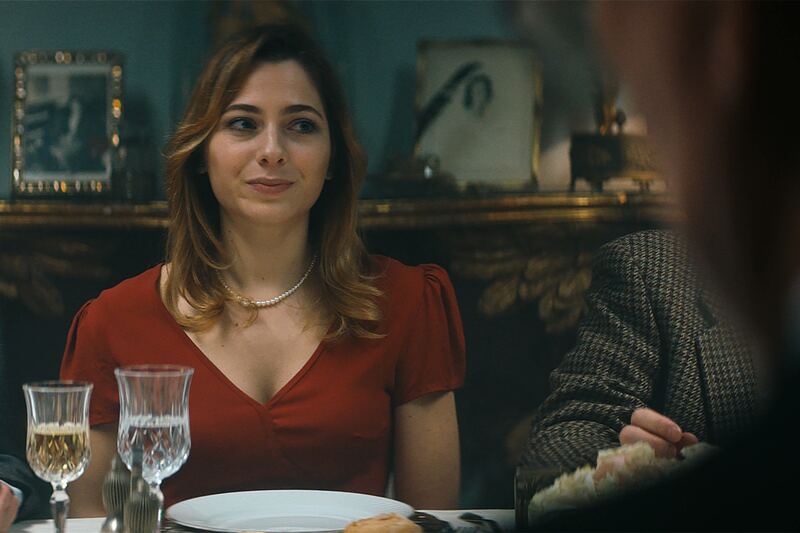 Instead of a threat, in this scenario Garofalo has spotted an opportunity to leverage on its greatest strength: its unquestionable, visible, touchable, tastable, enjoyable quality. That’s the starting point for a new strategic approach to communication hinged on the assumption that “Buona pasta non mente” (Good pasta never lies). The communication platform is developed in two directions, one totally rational and the second more emotional and ironic. Garofalo undertook its path to transparency in the most practical way first. The company made available to every consumer an evolved tracking system so that it became possible to discover the origin of the wheats used in the semolina blend of every pack individually. This can be done through a new dedicated website where the production process is also explained in every detail and every document concerning the quality controls is made available and can be downloaded. We’ve called this website www.comesifagarofalo.it (“how Garofalo is made”) because that is what it’s all truly about. 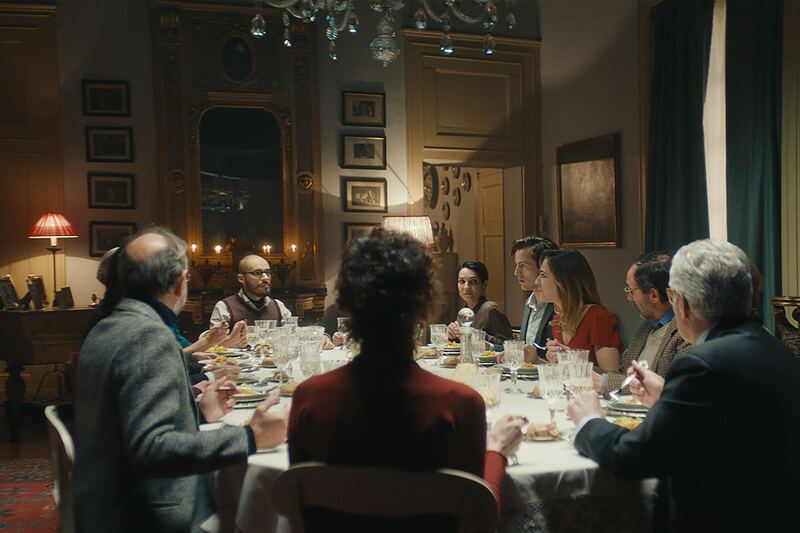 Alongside with a new pack, whose transparency is still the hero, Garofalo launches a new TV Commercial (that we take pride for) in which the truth concept is given through a creative and ironic twist. 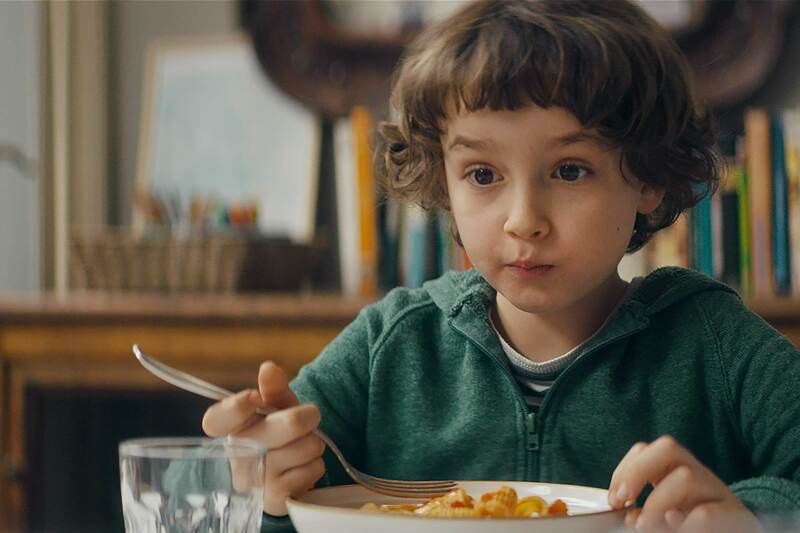 It also sets a new standard in the way a pasta brand communicates, avoiding the stereotypes and cliches we keep seeing on screen these days choosing a more cinematographic treatment and storytelling. The idea is that not only a good pasta never lies, but whoever eats it gets hit by the same effect: you can’t keep your mouth closed anymore. 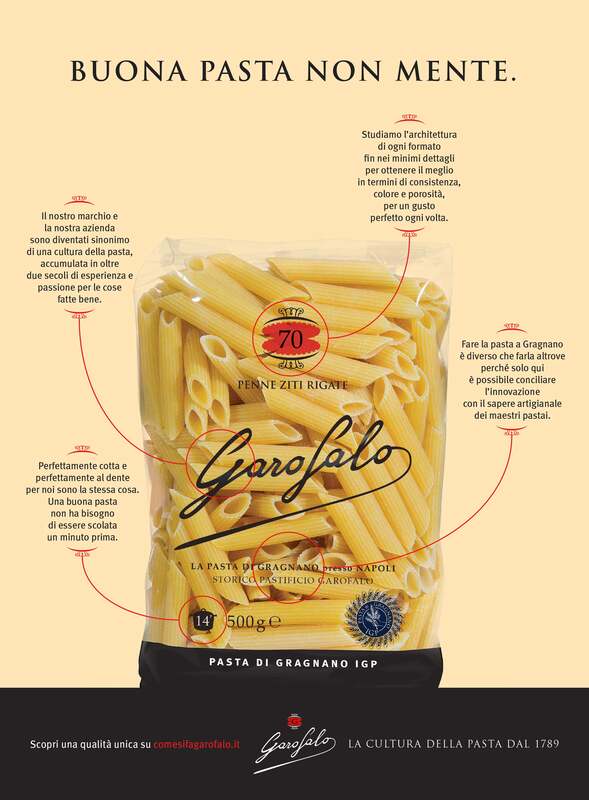 It’s a way to represent everyday situations, Garofalo families, revealing little truths with a smile and building awareness on the new brand’s positioning through an effective line and the final call to action to discover more about how Garofalo is truly made. This entirely new platform is the result of a long strategic and operational work that involved different agencies, each taking care of a different aspect. In Pescerosso we’ve been following the whole process form the very beginning providing the strategy first and then focusing on the advertising part, including the print campaign that will follow.